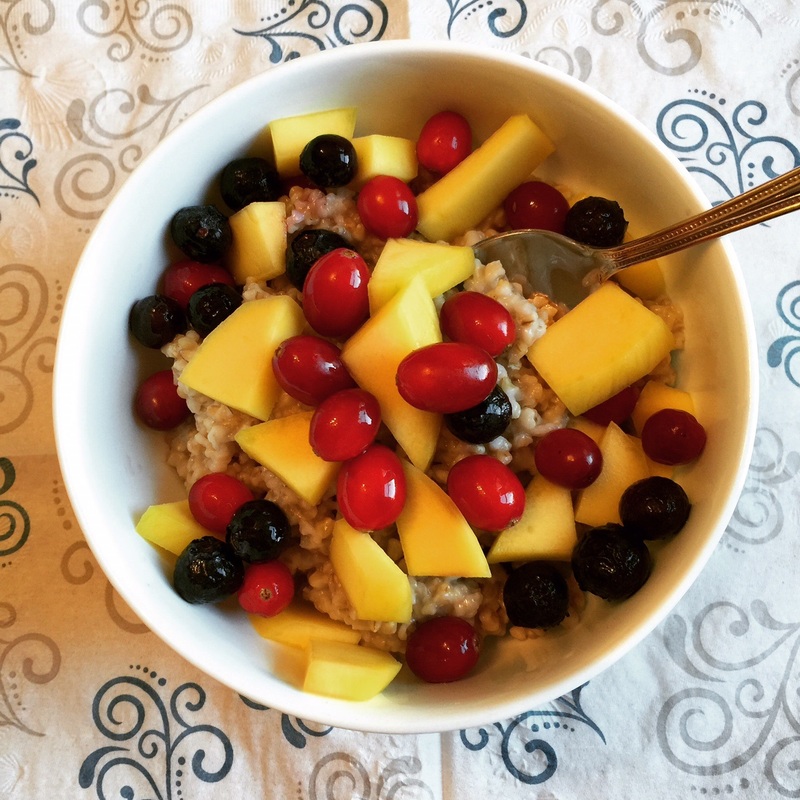 Steel Cut Oatmeal Porridge with Fruit and Berries. Organic Kosher Whole Grain breakfast. Easy to make, balanced, nutritious, healthy and keeps your body and mind in a good shape. It has a few ingredients and ready in 30 minutes.